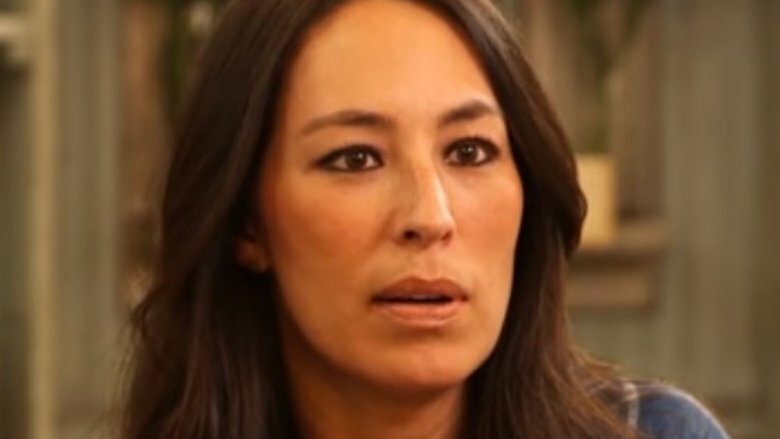 Former Fixer Upper star Joanna Gaines is the latest celeb to face a nasty round of mom-shaming on social media. When the interior designer took to Instagram late last week to share a sweet, seemingly innocuous snapshot of her youngest child, son Crew, she probably never considered it'd create such a fuss. 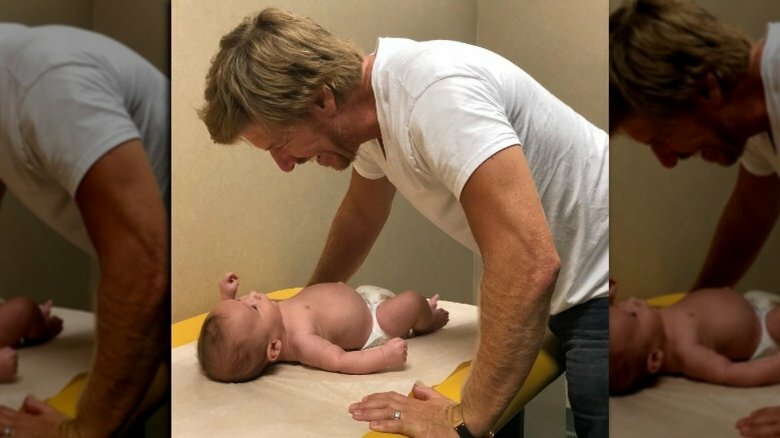 "Weigh in day at the doctor," the proud mom wrote to her 8.6 million followers alongside a cute pic of her little boy looking up at her husband of 15 years, Chip Gaines. Completing the caption with a heart emoji, she added, "@chipgaines always seems to make things better." As Nicki Swift previously reported, Joanna, 40, and Chip, 43, welcomed their fifth child, Crew, in late June 2018. At the time, the famous interior design duo announced their exciting baby news on Chip's Twitter account, writing, "And then there were 5.. The Gaines crew is now 1 stronger! 10 beautiful toes and 10 beautiful fingers all accounted for, and big momma is doing great! #blessedBeyondBelief." The married pair, who tied the knot in May 2003, are also mom and dad to Drake, 13, Ella, 11, Duke, 9, and Emmie Kay, 8. Unfortunately for the reality TV star, what was clearly meant to showcase an adorable moment shared between father and son at a routine doctor's visit was quickly flooded with anti-vaxxer comments. One social media user, for example, wrote, "Please don't vaccinate! If you already have, then research before letting the doctors inject your children with poison in the future! Vaccines contain glyphosate and many other toxic ingredients that cause cancer and other side effects like asthma, auto immune diseases and SIDS! Learntherisk.org" (via CafeMom). Scientists have been debunking these types of anti-vaccination myths over the last two decades. As such, a number of Gaines family supporters ended up calling the activists out for sharing unwanted parenting tips and turning a simple baby pic into a heated debate. "Joanna didn't even say anything about vaccines… why y'all turning it in to something it's not?" one Instagram user hit back, adding, "And by child number 5 I think they've got this thing handled." Amid the arguing, however, most fans luckily seemed to just take the photo for what it was worth. "Well this is the cutest," one person wrote with three heart-eyes emojis, while another commented with, "So darn cute!!! I can't handle it!!" Unfortunately, Joanna Gaines isn't the only celeb to be parent-shamed by anonymous social media users this year. Fellow reality TV star Kendra Wilkinson's parenting skills have been criticized on multiple occasions. Amid her divorce from former football pro Hank Baskett, the Kendra on Top star took to Instagram to fired back at online trolls in early June. "Anyone who says anything negative about me as a parent are only going against what my kids see in me," the proud mom, who shares 8-year-old son Hank IV and 4-year-old daughter Alijah with Baskett, wrote at the time. "I don't get the hate at all. We can sit here n judge all day but what good is that doing?" Wilkinson added that her children would be "devastated" to know what some people had been writing about their mother, writing, "We are all doing the best we can. … It's a shame that our kids have to grow up in a world of such harsh criticism." Meanwhile, recent EGOT winner John Legend, who shares 2-year-old daughter Luna and 3-month-old son Miles with model wife Chrissy Teigen, was dad-shamed in February 2018 for sharing a snapshot of himself carrying his oldest child — seriously. However, the "All of Me" singer took it all in stride, later telling Entertainment Tonight, "People, you know, I think people kind of — they see one photo and they want to make judgments about how people live their life and I think the best advice for all of us is, let parents be parents and don't criticize based on what you see on social media." We couldn't have said it better ourselves.